I cannot tell you enough how important it is to your health and well-being to keep your chakras aligned. Pretty much any emotional, or even physical, issue can be traced to a particular chakra that’s out of alignment with the others. 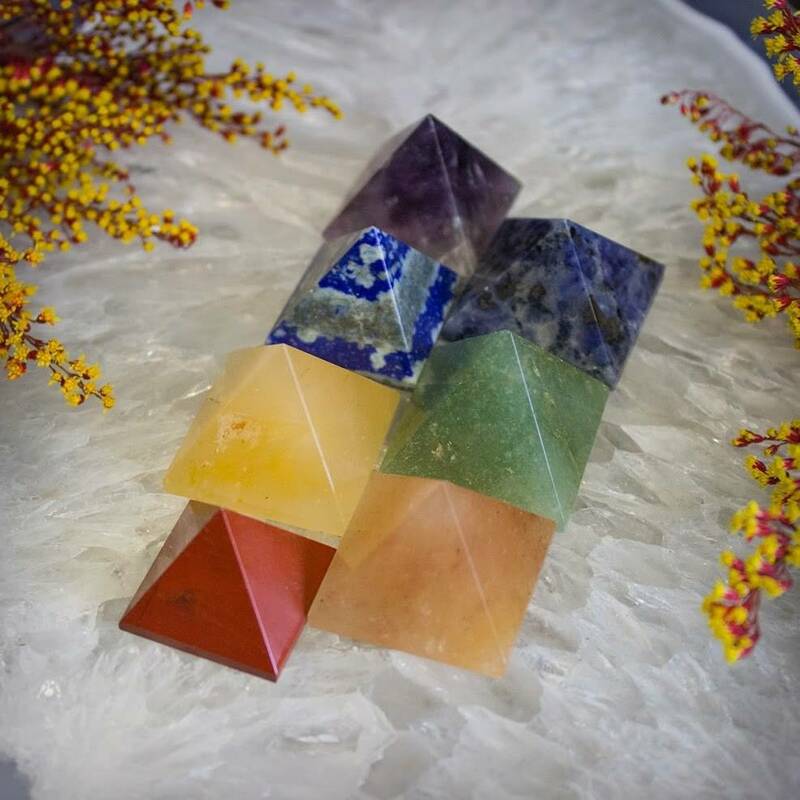 By incorporating seven different stones, one for each of the seven chakras, this pyramid set will aid you in bringing your energy back into balance. The first pyramid is made of amethyst, for your Crown Chakra, which corresponds to the Reiki Power Symbol, Cho Ku Rei. Amethyst is an incredibly purifying and protective stone. 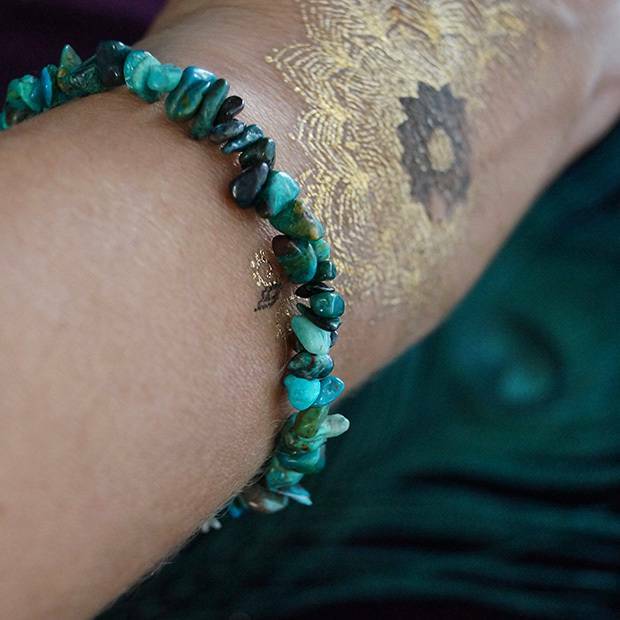 This stone is known to promote peace and healing, and connects the physical plane with the higher realms. Amethyst will pull the high frequency vibrations of the divine right into your Crown Chakra, which is located at the top of your head. Focusing your meditation on this amethyst pyramid will help dispel depression, inability to focus, and extreme sensitivity to environment, which are all symptoms of a misaligned Crown Chakra. The second pyramid is made of lapis lazuli, for your Third Eye Chakra, which corresponds to the Reiki Master Symbol, Dai Ko Myo. This gemstone is known as the stone of truth, and will activate the higher mind and stimulate the desire for knowledge, truth, and understanding. Meditate with this pyramid to discover your inner truth, strengthen your intuition, and fight off headaches, addiction, and dizziness. The third pyramid is made of blue aventurine, for your Throat Chakra, which corresponds to the Reiki Distance Healing symbol, Hon Sha Ze Sho Nen. Blue aventurine is the surrender stone for patience and trusting the Universe. It offers reassurance that all is unfolding as it’s meant to be, in perfect time. Trust your voice and your instincts. Allow them to guide you into being the best be you can be. This stone will help you find your voice and your path. 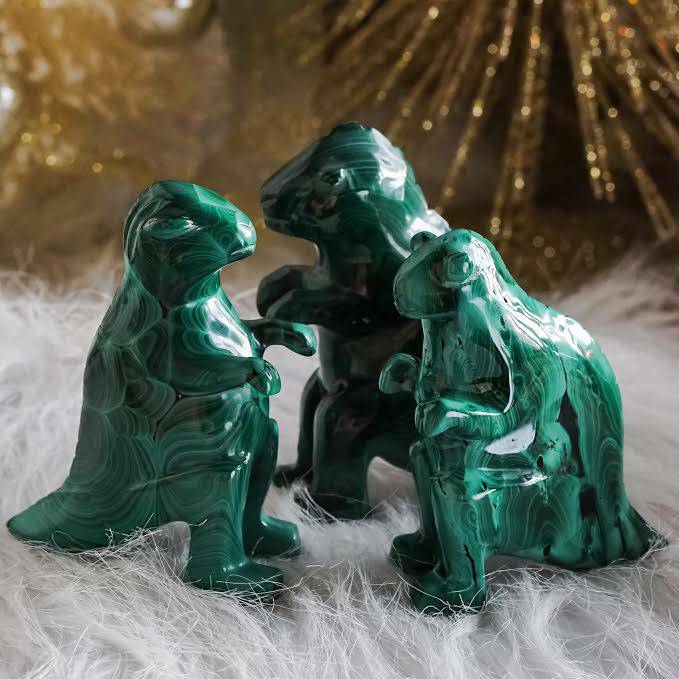 The fourth pyramid is made of green aventurine, for your Heart Chakra which corresponds to the Reiki Emotional / Mental Healing Symbol, Sei He Ki. When your Heart Chakra is out of balance, you may find yourself being co-dependent in relationships, and loving to the point of suffocation and jealousy. You may also find yourself suffering from bitterness and fear of abandonment. This green aventurine pyramid will open up your Heart Chakra and will allow you to feel joy, gratitude, love, and compassion. The fifth pyramid is made of yellow aventurine, for your Solar Plexus Chakra, which corresponds to the Reiki Power Symbol, Cho Ku Rei. This chakra is associated with will, personal power, and one’s ability to make decisions and take control. This chakra is where our identity lies. When your Solar Plexus Chakra is blocked, you may end up suffering from low self-esteem, lack of self-control, and addiction. This yellow aventurine pyramid will open that chakra wide and allow confidence, clarity, productivity, and a feeling of contentment to flow into your life. The sixth pyramid is made of orange aventurine, for your Sacral Chakra, which corresponds to the Reiki Master Symbol, Dai Ko Myo. The Sacral Chakra governs the parts of our lives that have to do with emotions, pleasure, and creativity. An out of balance Sacral Chakra can present itself as two extremes: you will either find yourself being ruled by your emotions, or you will feel unable to feel emotions at all. 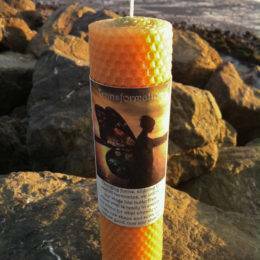 If you suffer from either of these extremes, focus your meditation on the orange aventurine pyramid in this set. You will feel a deeper sense of happiness and your sense of balance being restored. This stone will also raise your physical energy levels and enhance strength and endurance. The seventh and last pyramid is made of red jasper, for your Root Chakra, which corresponds to the Reiki Distance Healing symbol, Hon Sha Ze Sho Nen. The Root Chakra governs our basic survival needs: money, shelter, and food. It also governs our sense of balance, support, and connection to the physical world. If you don’t feel grounded, your Root Chakra must be opened, and this red jasper pyramid will do just that. Meditate with this red jasper pyramid to feel a sense of empowerment and to reconnect with the earth, and with yourself. 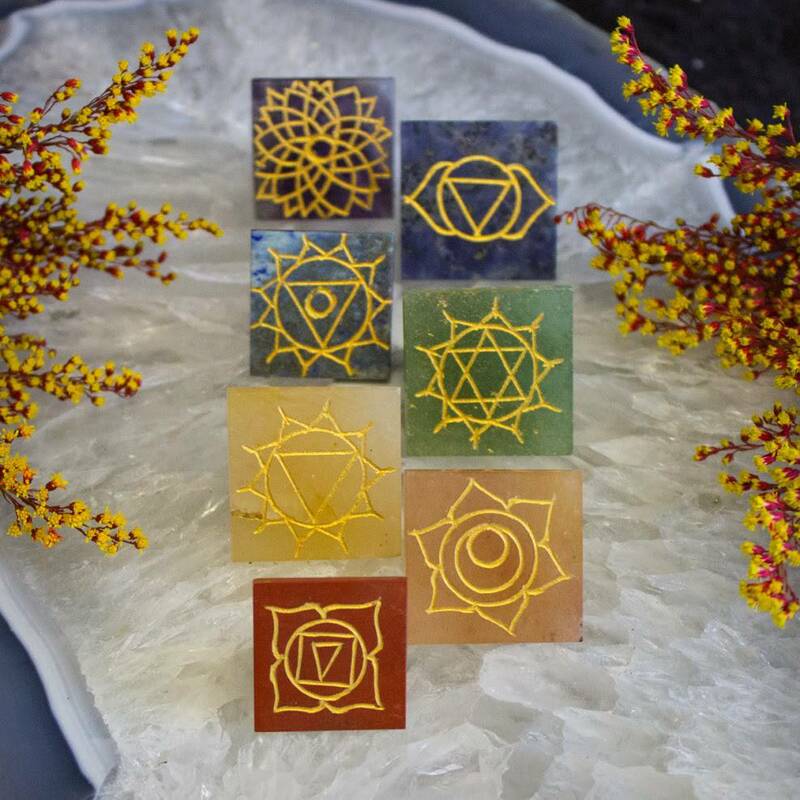 This 7 Chakra Pyramid Set is so incredibly powerful because it brings each aspect of your life into balance. 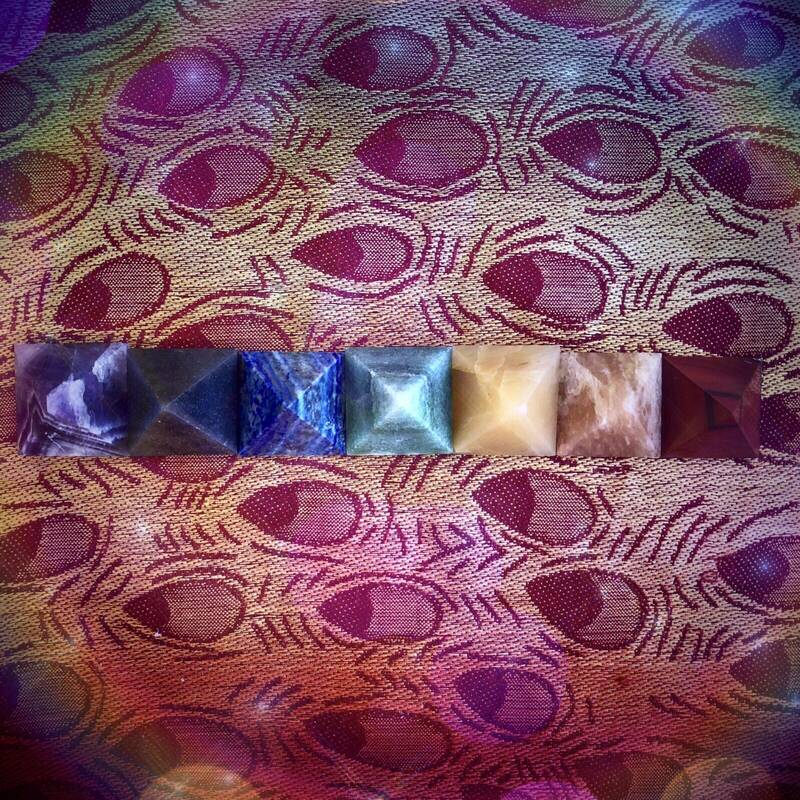 By utilizing the seven powerful gemstones listed above, you will be able to take your meditation ritual to a whole new level, and experience an inner peace that I can simply describe as out of this world. 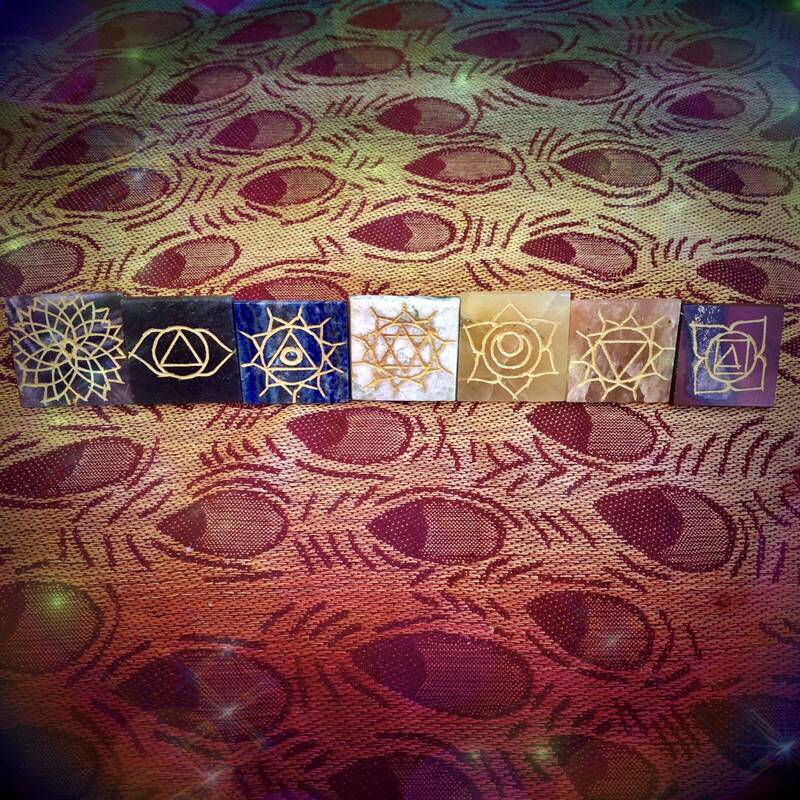 This listing is for one (1) 7 Chakra Pyramid Set, as described above. Each pyramid is about 1-1.25″. Your set will come lovingly parceled for your enjoyment and delight, with a parchment describing the properties of each gemstone included.